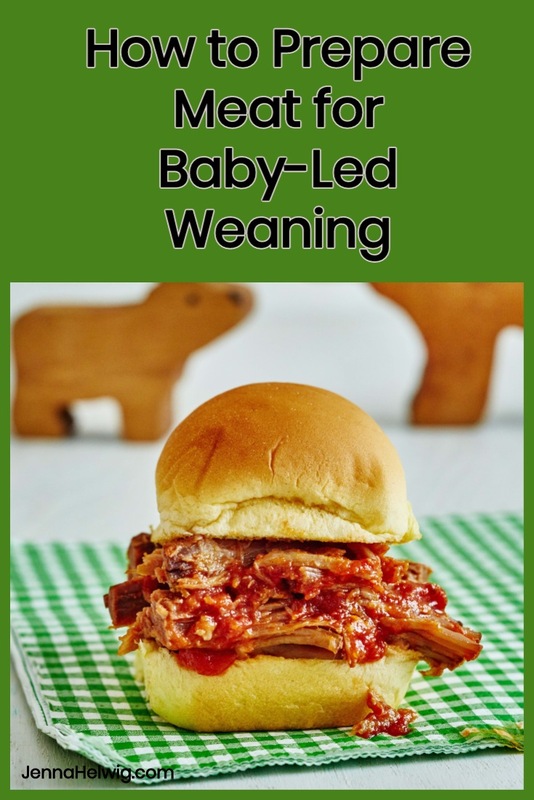 Preparing meat that’s soft enough for baby-led weaning can be a little tricky. A just-cooked chicken breast or medium-rare steak is delicious for bigger kids and grown-ups, but babies need extra soft meat. If you’re serving your baby purees, problem solved. I think the easiest way to puree meat is to start with ground, be it beef, lamb, chicken, turkey, or pork. 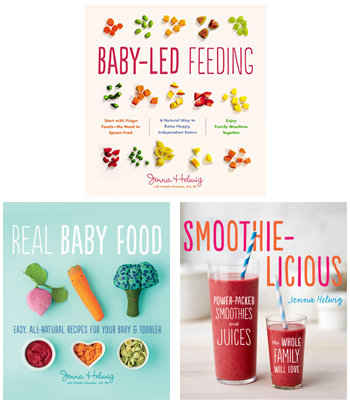 There are several recipes in Real Baby Food. If your baby is self-feeding, try cooking meat in the slow cooker or pressure cooker. The food you love from those devices–succulent meat that collapses into pieces at the touch of a fork–make it perfect for babies too. They’re genius at turning tough cuts of meat into tender, savory bites perfect for beginning eaters. 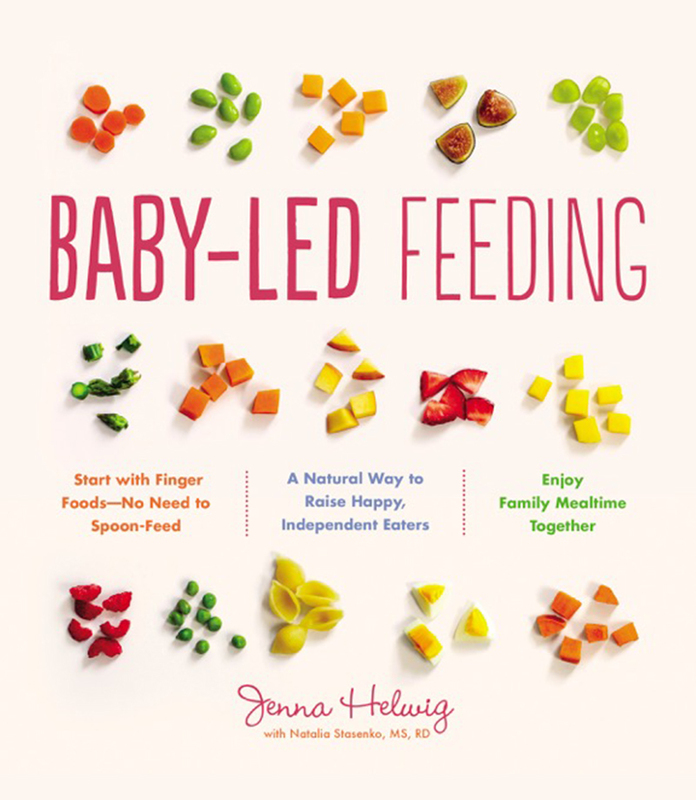 This recipe from my cookbook Baby-Led Feeding couldn’t be simpler, and it’s perfect for the whole family. 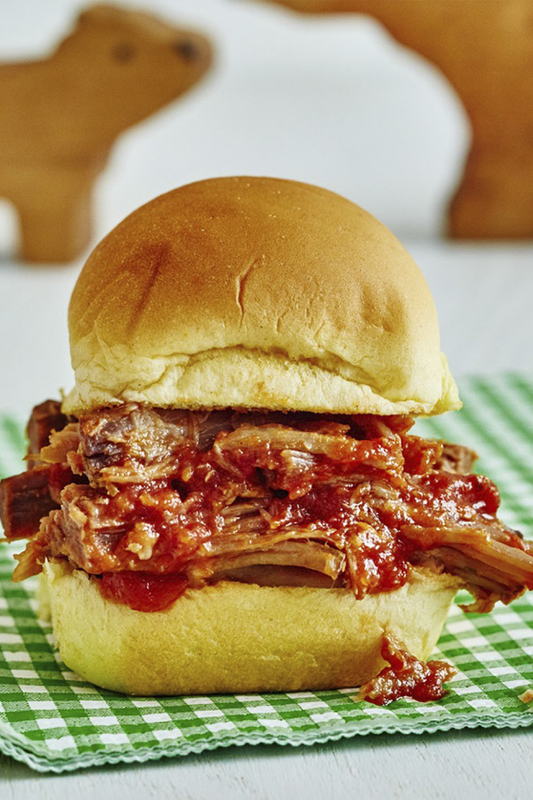 Serve on slider buns with a bit of barbecue sauce. Or spoon over polenta or fold into tortillas. 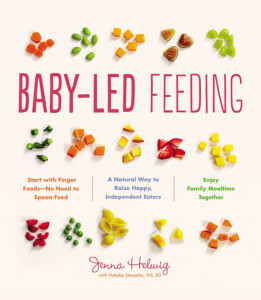 If baby is sharing this meal, skip the salt; grown-ups and bigger kids can add it at the table. Spray a 5-quart slow cooker with nonstick cooking spray. In a small bowl, stir together the maple syrup, Dijon, salt (if using), paprika, and pepper to taste. Rub the pork all over with the maple mixture and place in a slow cooker. Make Ahead: Refrigerate for up to 3 days. SLOW-COOKER MAPLE-DIJON PORK from BABY-LED FEEDING © 2018 by Jenna Helwig. Used by permission of Houghton Mifflin Harcourt. All rights reserved. Photography © 2018 by Lauren Volo.